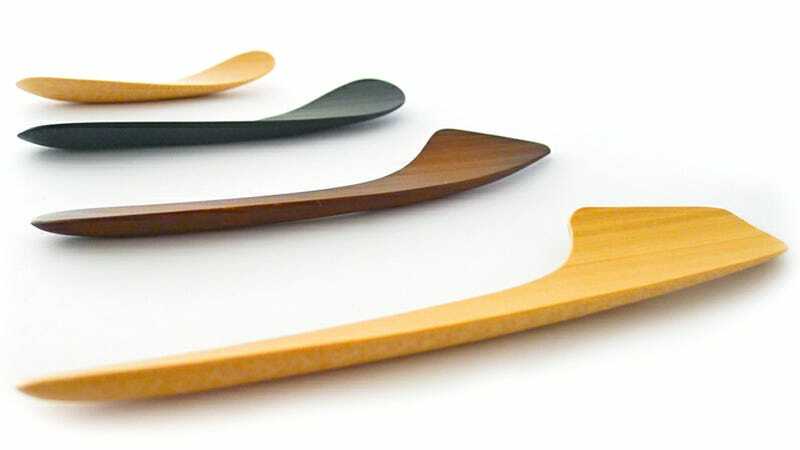 Designer Makoto Koizumi might not be an aeronautical engineer, but the organic flowing curves of their bamboo Minotake cutlery set look makes it look like they started life as a revolutionary new propeller design. Bamboo kitchen ware, including plates and cutlery, has become a recent trend because the material's both strong and lightweight. But Makoto manages to make this line of utensils more than just an eco-friendly alternative to plastic.